-Navigating the winding road leading to Mo Ranch once again. After working there for two summers, I know every curve. -The first five minutes in the Guadalupe River, letting all of my worries and stress flow downstream. -Laughing with family as we told all of our embarassing childhood stories. Shared stories really are what make people a family. 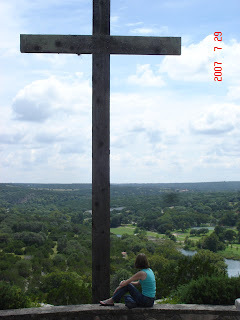 -Sitting at the chapel on the hill, enjoying the scenery and taking a moment just to be. -Children playing thumb war on the plane with looks of intense concentration on their faces. -The little girl who jumped up and down at her achievement of knocking down three bowling pins. -Seeing a patient who has never been able to speak or really move her mouth break into a full smile after a visit from her son and daughter-in-law. When I told her that they seemed really nice, she, in a barely-audible whisper, said "thank you." I was so excited to hear her speak and see her smile I wanted to do kartwheels. -Sitting on steps under a big tree with a single lit up Atlanta building glowing in the background. -Helping Ruata serve communion at Grady. I think we should celebrate it often there, because it's a great way to acknowledge God's renewal of our bodies and souls, in a place where bodies and souls are often both exhausted. -The line from Breakfast at Tiffany's where Fred (aka Paul) tells Holly he's in love with her. She replies coldly, "So what?" He then says, "So what?! So plenty!" I love that. -A blissful hour spent with my windows open listening to the rain, drinking a cup of tea and reading Harry Potter. -Ruata easing my fears about the spider crawling on my car window. I had to roll down the window to use my parking card, and he got rid of it for me. Then, he confessed that he was not afraid of spiders, but caterpillars. That confession made me laugh out loud. -Opening the Book of Common Worship that my committee at Eastminster had given me and discovering that they had all written kind and encouraging notes to me in the first pages. Does that make it a yearbook for seminarians? -Dancing and singing with Karen and Kate. It all began when someone decided to play Madonna's "Like A Prayer"...and the silliness just increased from there. -The way Snickers jumped up and welcomed me when I went by Rob and Karen's. I wish they could dogsit forever...so that I can live vicariously. -The way Ethiopian food makes it feel like playing with your food is not only welcomed, but expected. -Dancing in the living room. -Nicole and I having to stop and let a herd of people taking an Atlanta tour on those wierd futuristic, one-wheeled things go by. The leader said a very formal and serious, "Please, excuse us," which just added more hilarity to the experience...as did my salute in their direction after they were gone. "We are all recipients of the same mercy, sharing in the same mystery. We thus approach every other faith and its adherents reverently, taking off our shoes, as the place we are approaching is holy." -Wispy stripes of white clouds brushed against the light blue sky. Something about that sight relaxed me. -Praying with the mother of a patient and feeling the Spirit work in an incredibly tangible way. -The man driving a golf cart of people to and from Grady while honking and waving at friends he passed. -Laughing with the other chaplains about the most ridiculous things (such as super stretchy key rings, funny faces and dreams). -A particularly relevant fortune cookie message. -Seeing the mother of a patient devote just as much attention to her daughter's roomate in the hospital. -A perfect moment on an old bridge surrounded by tall, vine-engulfed, green-glowing trees. -Noticing that the 9A nurses have put size small gloves out for me for when I visit patients. 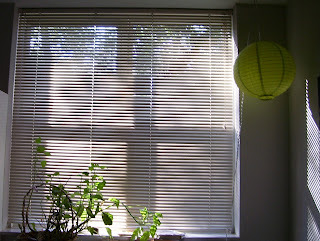 -Waking up from a perfect nap to see the sun streaming in through my window. -Having Rob and Omi at trivia, when they normally can't make it these days. We almost had our entire team together again. -Having a Bible passage in my head for the past two days, only to have Trey preach on it in Grady's chapel service this morning. -Realizing (with some satisfaction) that, apart from my little workout at the Y where I watched the food network this morning, I haven't watched T.V. all week. I didn't even miss it. 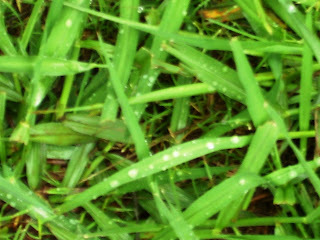 -Perfectly round raindrops on green grass. 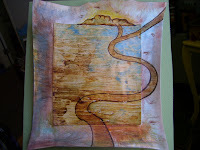 -The patient who said to me that in life we must persevere, and no matter what, stay on the path. It was so encouraging to hear. -A thoughtful and unexpected phone call. -The excitement of newness, that comes in the most surprising ways. -Walking out from Harry Potter and the Order of the Phoenix with friends from seminary and from CPE. I love when the different parts of my life come together. 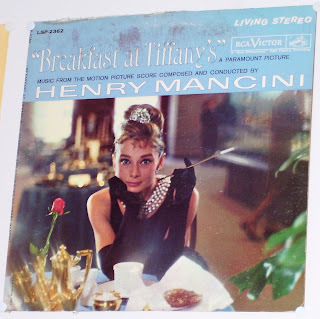 -The relaxation that comes with the first few chords of Moon River on my Breakfast at Tiffany's record. Maybe it's my ever-so-slight Audrey Hepburn complex, but that soundtrack always puts me at ease. generosity, wild trees and music. -Brian and Christina's amazing generosity. -Reading a wonderful new book called The Wild Trees by Richard Preston. My Aunt Karen recommended it to me. It's a nonfiction book about people who climb the giant redwood trees in California, and includes some fascinating informationa bout redwoods. My favorite line thus far is "The fear of heights finally left him, and was replaced by a feeling of almost indescribable wonder." 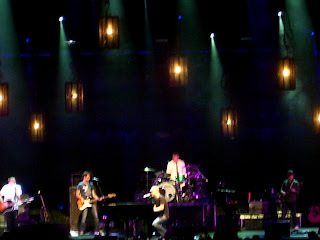 -Seeing The Fray, Eisley and Gomez in concert with Karen, Claire and Stephen. It was really great to laugh, dance and sing. Their renditions of a Shakira song and "Wonderwall" were particularly entertaining. 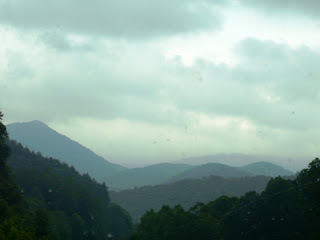 -Seeing the beautiful Blue Ridge mountains of North Carolina. 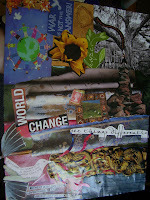 -Using art to express my sense of call to peacemaking. 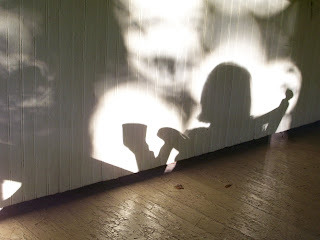 -Sitting on the front porch in a rocking chair drinking coffee with the cool morning air around me. 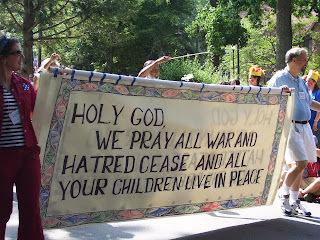 -A prayer for peace as a part of the 4th of July parade. -Meeting a fascinating woman in her eighties at the intergenerational Peacemaking Conference. Her name is Ellie, and she has been standing up for women's rights, peace and racial equality all of her life. -Getting to know the other theological student workers at the conference. I really enjoyed their company. We laughed constantly and enjoyed some stimulating discussions about theology, pacifism and life. -Hearing "Whitney!" in a crowded room and turning to see Fiona, my Belfast site supervisor's daughter. She's working at Montreat for the summer and I haven't seen her in 2 years. I was so glad she remembered me, and enjoyed catching up and listening to the high-pitched cadence of a Northern Irish accent once again. 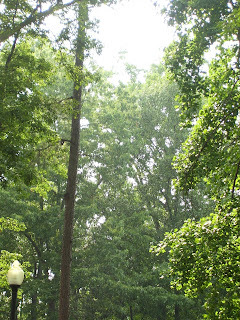 -Rain while the sun was still shining. -Crying at a movie for the first time in ages. It felt great. -Song and I talking to each other across our cars at a traffic light. We met at the movies, and continued chatting as we ended up next to each other on the way home. 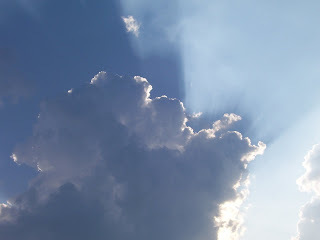 -Sun streaming through blue clouds. -Seeing my good friend Bethany again. She came to town for a visit, and it was great to catch up. -The way Karen always notices when I have something new. Last night, I wore a bracelet I bought at a Parisian-inspired store in Savannah for $5, and she said it was "really me." It's great to have such observant friends who really know me.